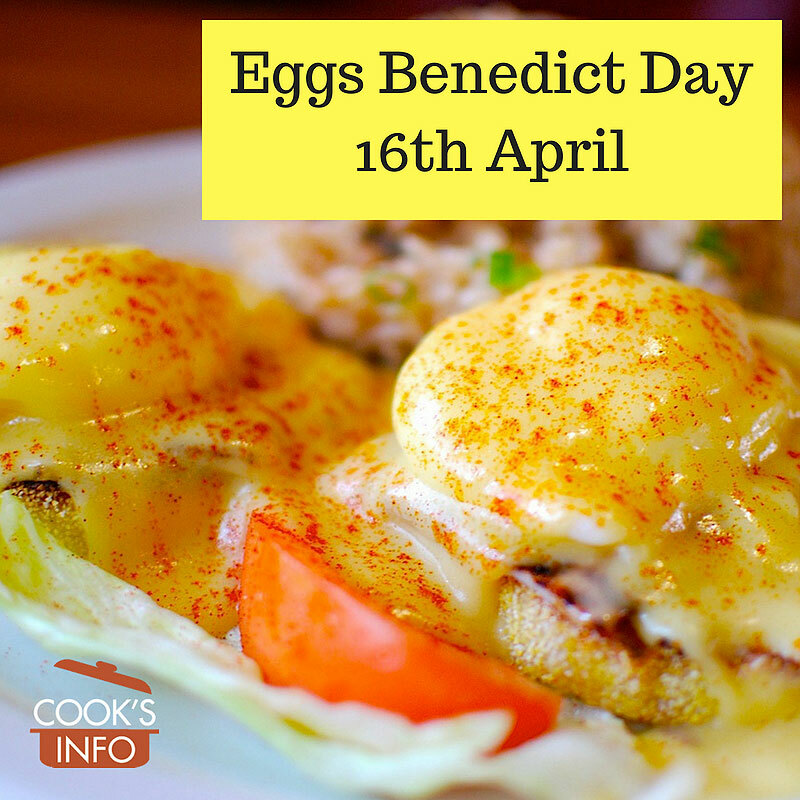 The 16th of April is Eggs Benedict Day. Yes, the dish called Eggs Benedict can pack a wallop in terms of calories. But if you’re not going to have it today of all days, when are you going to have it, and why not at least have it once a year — after all, you’ve only got so many years in ya’. If you don’t have time in the morning, nothing says you can’t make it for dinner. In fact, it takes a fair bit of assembly for an egg dish, so dinner might even be a better time. And if you’re really pressed for time, cheat and use a package mix for the Hollandaise Sauce. After all, it’s your kitchen, who’s going to see? And once you’ve got the knack of all the other constituent parts, the next time you make it you might be able to focus more on the dreaded curdle-as-soon-as-you-look-at it Hollandaise. Besides, the important thing today is just to have Eggs Benedict, and treat yourself. There’s a lot of myth and hype attached to Eggs Benedict, and a lot of purists trying to tell you it’s their way or the highway. But don’t worry: CooksInfo.com’s got the skinny on this dish, and will arm you with enough knowledge to be able to stare all the hyperbole and pressure down. Check out our page on Eggs Benedict.